There is something just a little bit special about a good vintage watch. More than just a collector’s item or a ‘retro chic’ accessory, it is a piece of history, a clever and intricate piece of engineering which has ticked its way through the decades. But it’s not just the nostalgic charm which is appealing. Many hold great personal and sentimental value, having been passed down through generations in families. These are true gifts. To own such a personal belonging of, say, your parent or grandparent is truly special. To be able to carry on wearing it is even better. We are lucky enough to work on such treasured items from time to time. 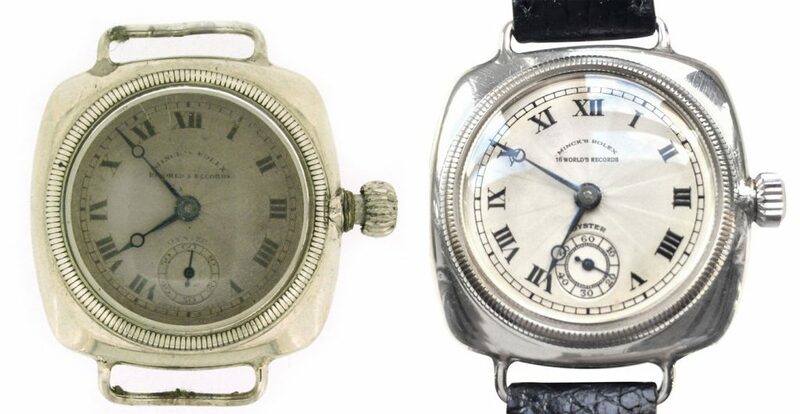 We carefully and sympathetically restore them back to life, back to wonderful wearable watches. This Tudor Submariner ended up at the bottom of the sea for an amount of time that left it no more than a block of rust. The fact that it was found was a miracle but it is no miracle that after a full restoration it is a fully working, high quality watch once again whilst still maintaining its vintage charm. This charming, silver, vintage Rolex Oyster in a cushion shape case needed a lot of TLC when it came in to us. It had plenty of character but lacked in life. The movement was dirty, the crown and tube needed replacing, the silver needed polishing, the dial restoring and it needed a new leather strap. These procedures are not necessarily standard practice when it comes to early watches however. To remove all of the character and marks of time would be sacrilegious in some cases. 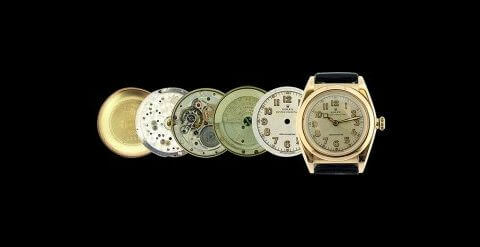 Watches can be quickly de-valued by removing dial patina, replacing original parts or highly polishing the case. This is why the integrity of any vintage watch which comes in to us is of uttermost importance. Still, with that in mind, if your treasured timepiece is no longer fit for purpose, and if what matters most is to be able to gain enjoyment from wearing it and using it, then a watch restoration is the ideal solution. In this case we did just what our customer requested whilst advising on the best possible course of action right from the start. I think you’ll agree that the outcome was worth it. 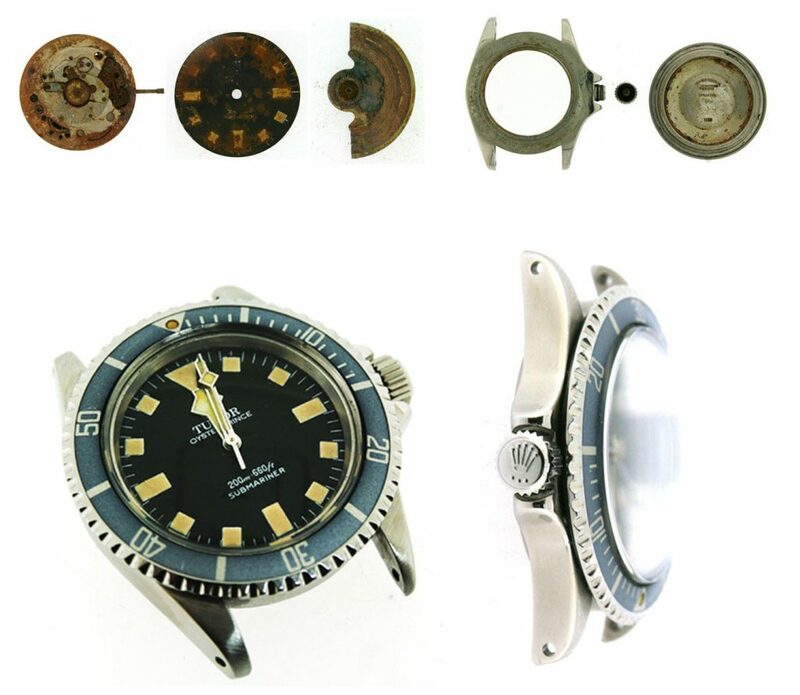 For more information on restoring your old watch please call or email us.